From the inception of our project idea up through the final stages of development, safety has been a top priority. Of particular focus are preventing the spread of foreign DNA into the environment and consumer safety. Our genetic fence construct ensures prevention of the spread of foreign DNA through a series of switches negatively regulating the survival of the engineered plant. The default state of an iGarden plant in the natural environment will be immediate death upon commencement of germination. Any seeds that may blow into a nearby garden or the wild will not be viable. 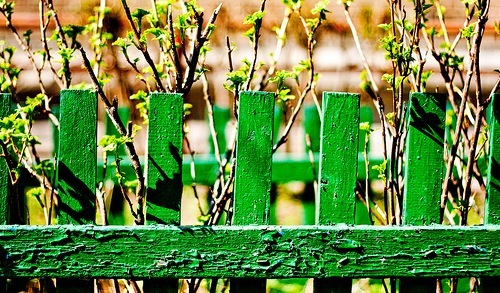 Even should a plant grown in the iGarden find its way out of the garden after it is full grown as soon as it is removed from the presence of the fence compound methoxyfenozide a fully or partially grown plant will die fairly quickly and any seeds produced outside the garden will also not be viable. While Barnase (in the absence of Barstar) is lethal to any cell in which it is produced, studies have shown that Barnase producing plants pose no risk to consumers. Studies have consistently shown that no detectable amounts of Barnase are found in the tissue of plants containing the Barnase encoding gene. This should come as no surprise, as any cell producing Barnase even for a short amount of time will very quickly cease to exist. It has also been shown that Barnase shows no similarity to any known allergens or toxins, and if ingested will be inactivated in the stomach due to the low pH. The transfer of antibiotic resistance genes into harmful microbes is an important concern for public health. Therefore any iGarden product that is tested and used in the open would use the pat Ti vector, which integrates iGarden genes into plant DNA without integrating antibiotic resistance selection markers. Continued development of the iGarden system will make use of safe visible markers, such as GFP, to enable gardeners to distinguish successfully modified plants from wild-type plants.